Khakusy is an open-air spa located along the north-eastern coast of Lake Baikal, far from any inhabited center, where visitors are accommodated in remote shelters immersed in a lush taiga. 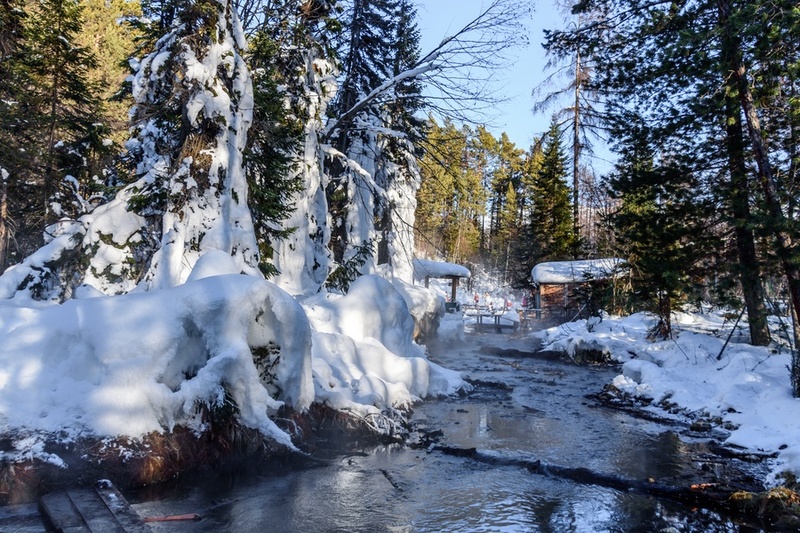 The water from the hot springs have excellent properties to take care of skin and osteoarthritis. Khakusy is a natural spa located along the north-eastern coast of Lake Baikal, in the Republic of Buryatia (Siberia, Russia). It is located far from any inhabited village or city and doesn't have a permanent population. The overnight accommodation is only available in remote cabins immersed in a beautiful taiga forest, with basic facilities. 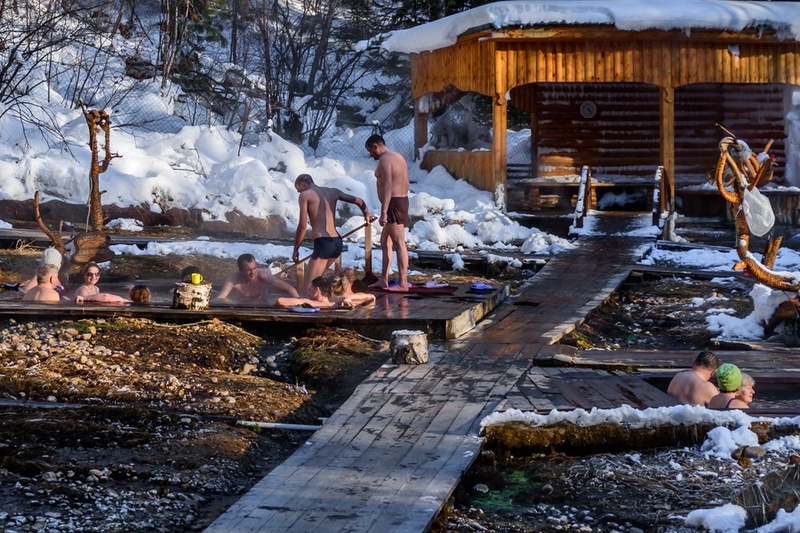 The Khakusy hot springs are located only 700 meters from the shores of Lake Baikal and from most of the cabins. 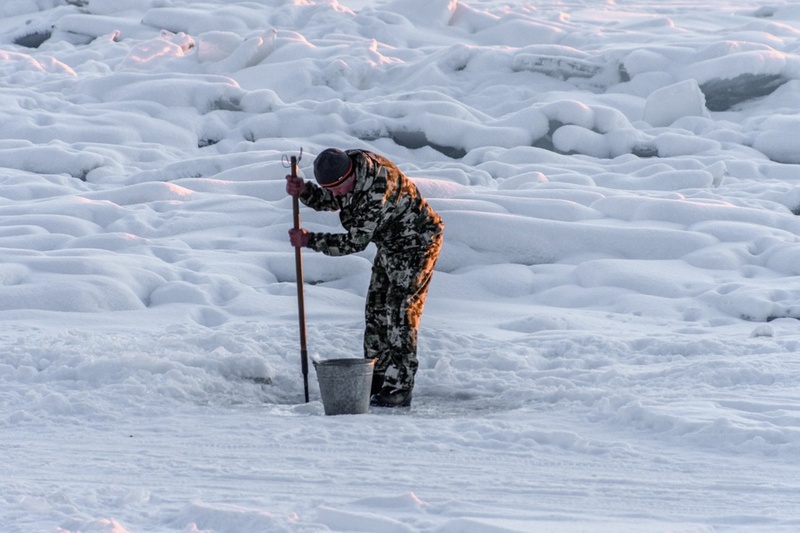 Their warm waters have excellent properties to take care of skin and osteoarthritis. 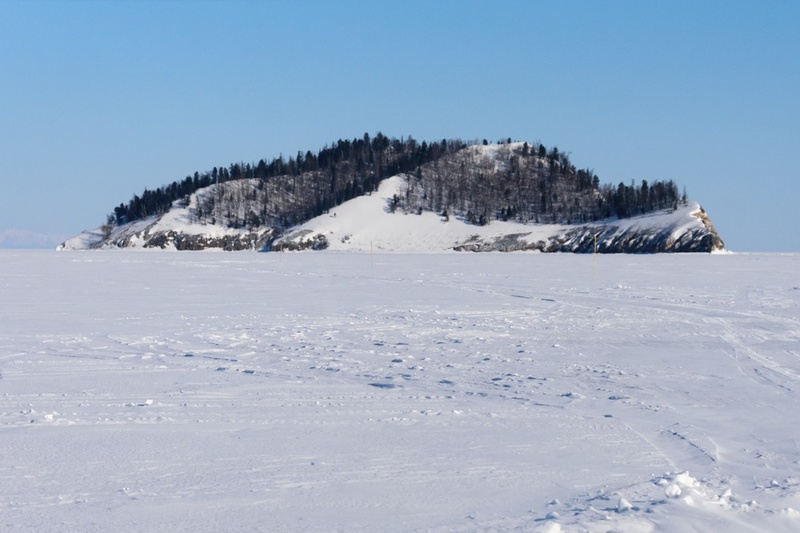 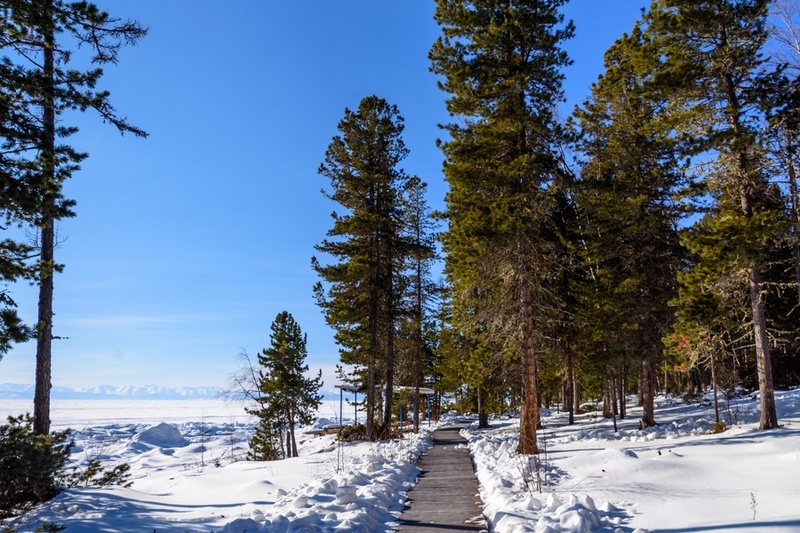 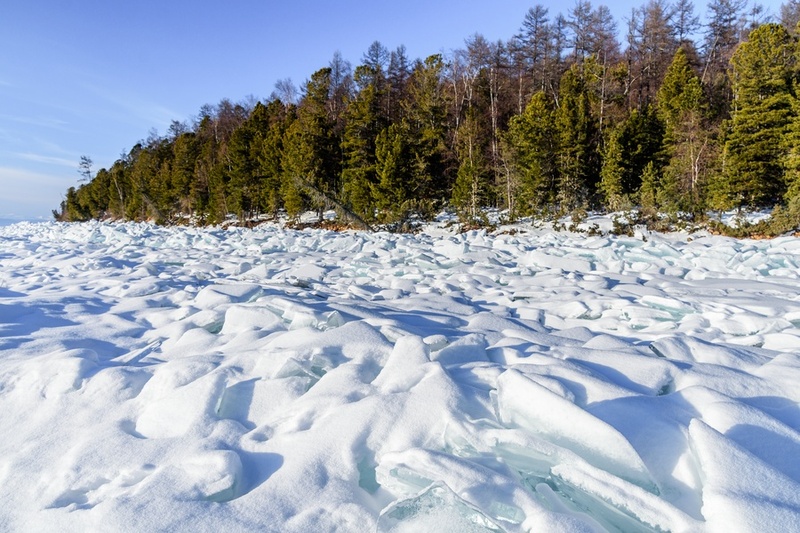 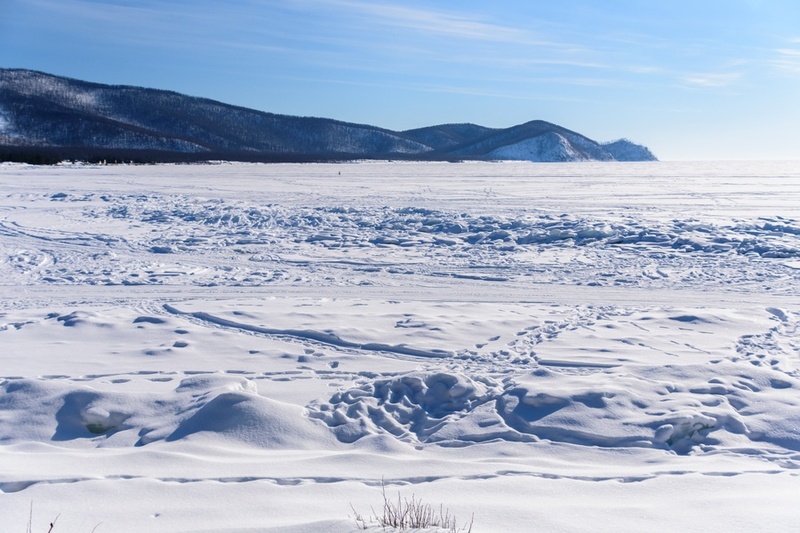 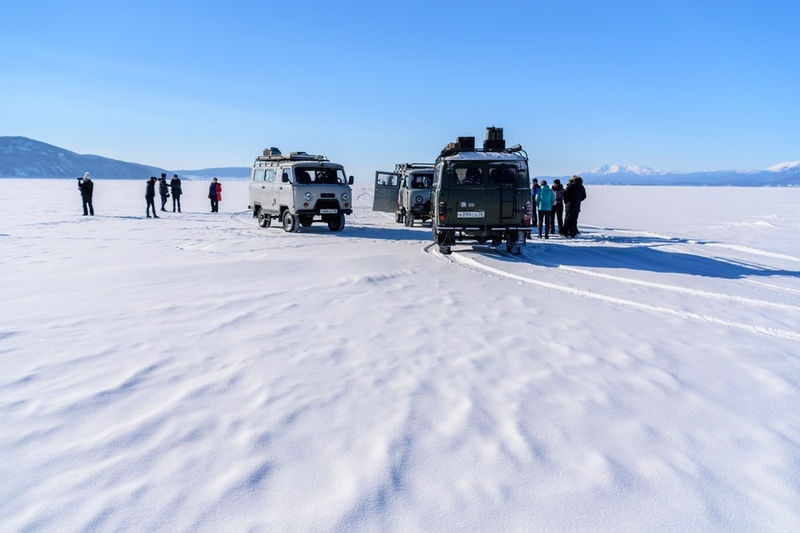 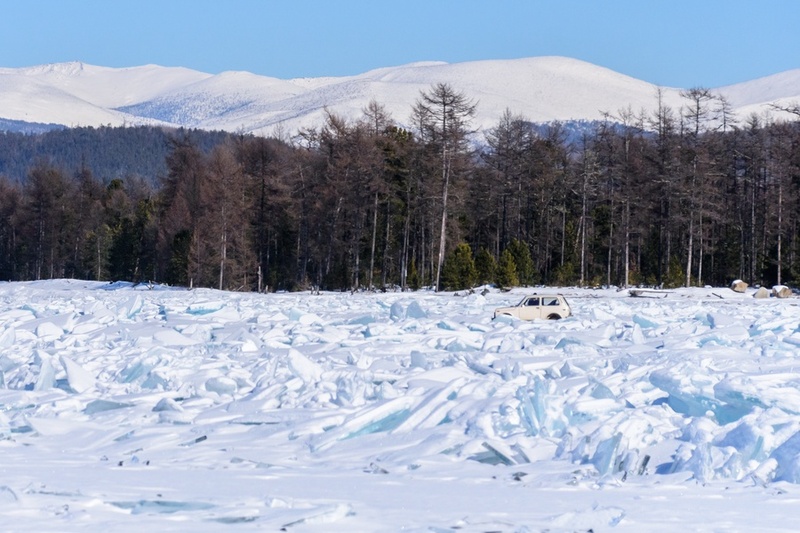 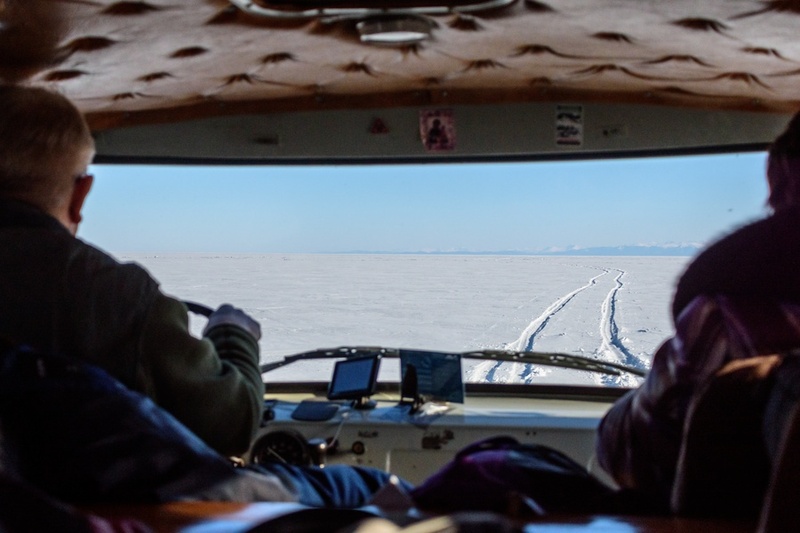 How to get to Khakusy is already part of the fun and adventure: during the second half of winter, visitors may arrive in Khakusy by airboat (hovercraft) or by car, taking advantage of the frozen surface of Lake Baikal as if it were an immense natural highway. 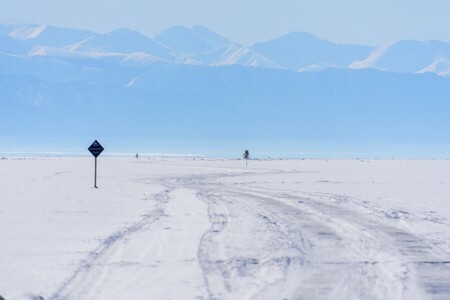 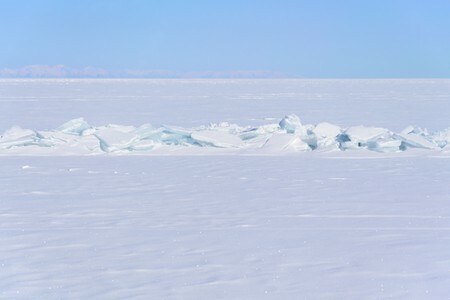 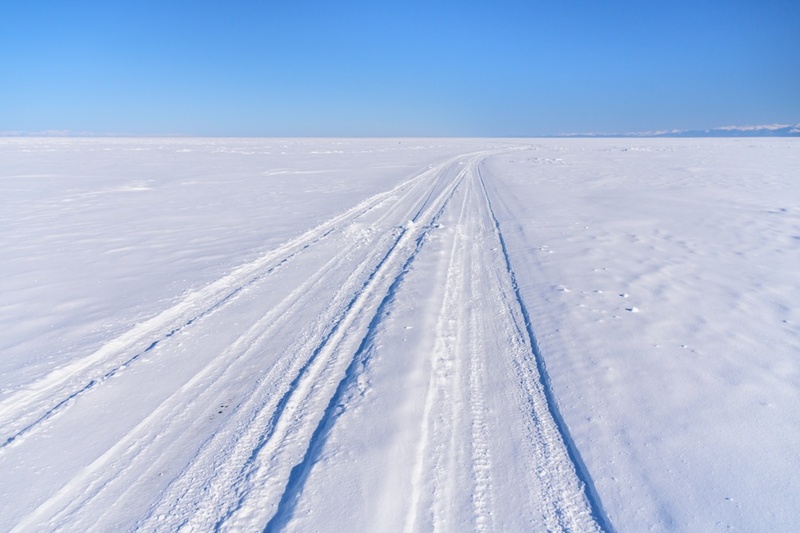 In summer it is possible to get to Khakusy by boat, while during middle seasons Khakusy is usually closed, as the conditions of Baikal ice does not allow to use any vehicle. 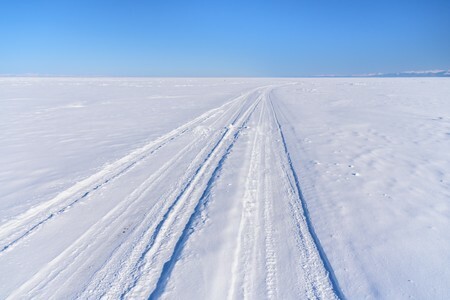 There are no roads or tracks on the mainland reaching Khakusy. 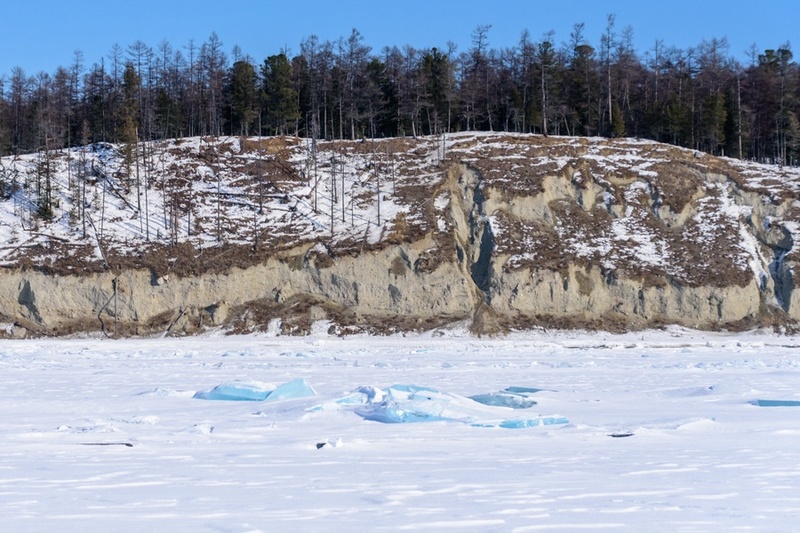 The nearest city to Khakusy is Severobaikalsk, which is located along the opposite shore of the lake, 50 kilometers away, while the village of Ust-Barguzin is about 200 kilometers to the south. 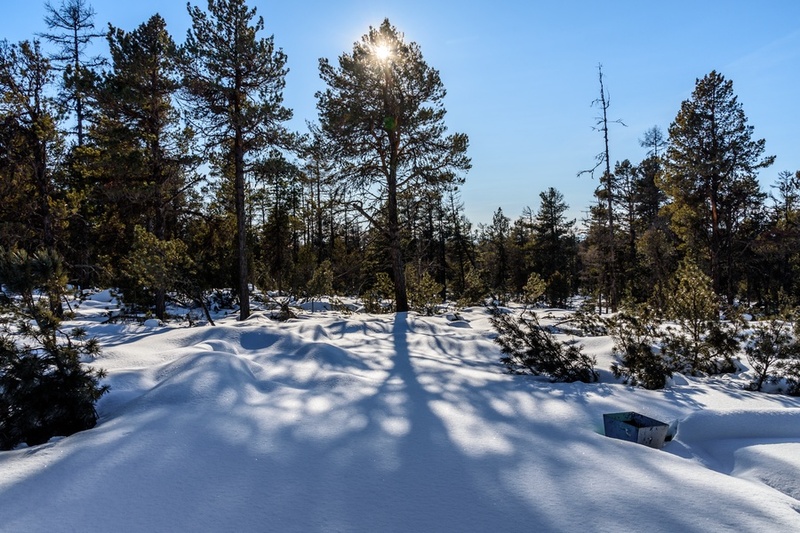 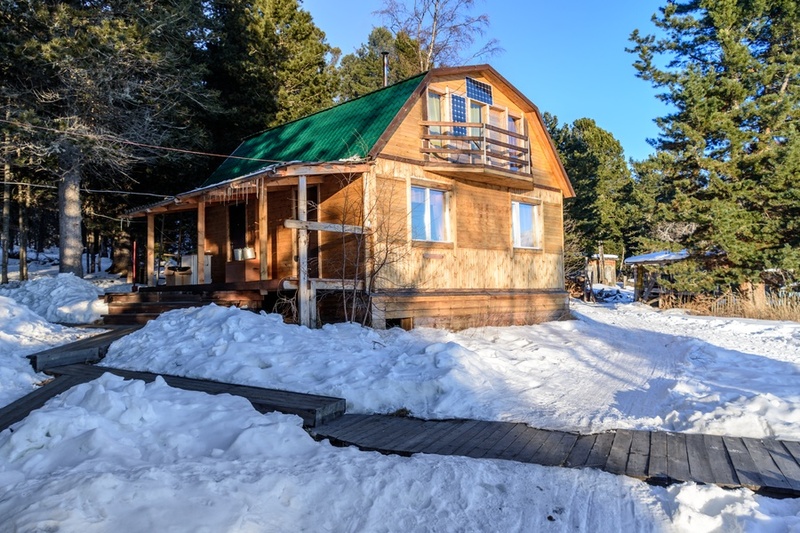 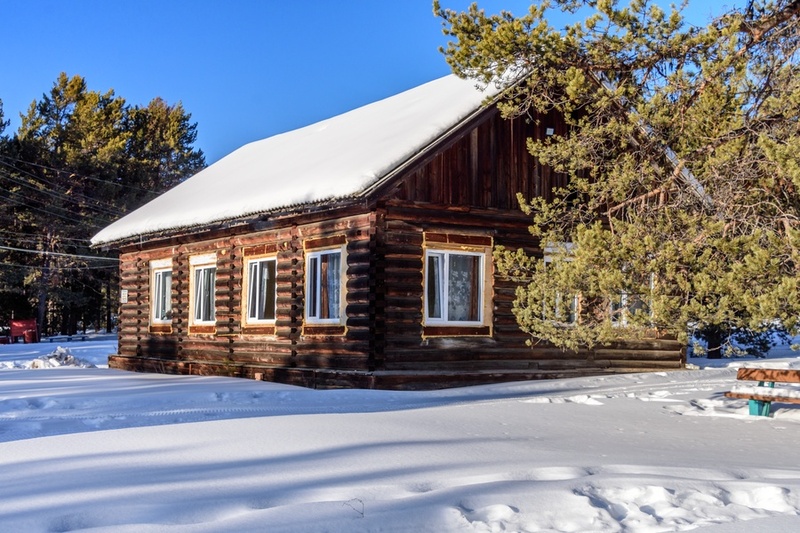 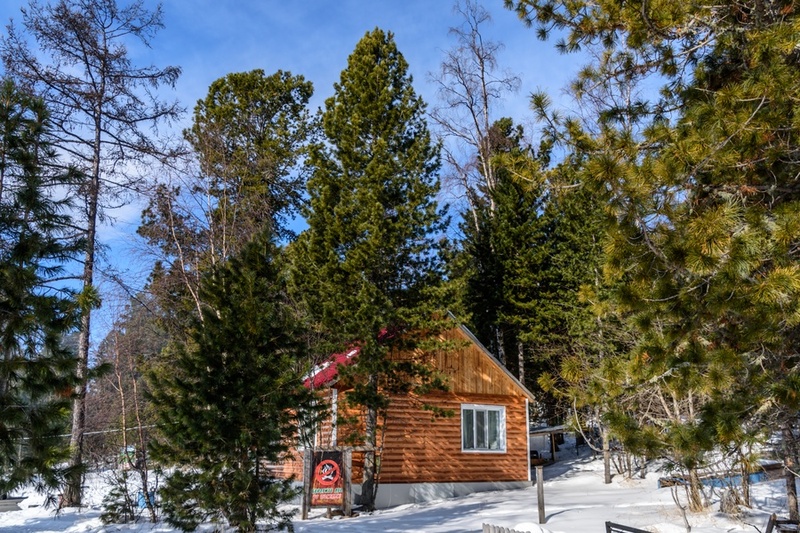 Overnight accommodation in Khakusy is only provided in wooden cabins and shelters located in the middle of pristine taiga forest, in a very beautiful and unspoilt set. 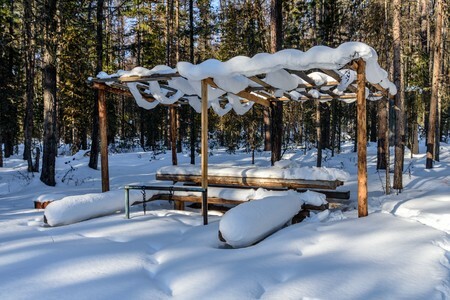 The facilities are heated with a wood stove, but the bathroom is outside. There is no running water (visitors need to collect water from Baikal lake) and the electricity is only available in the evening and at night. 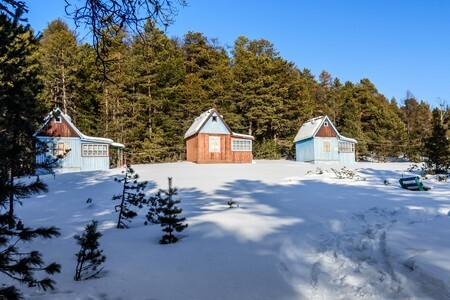 There are no shops in Khakusy, so it is necessary to arrive with supplies sufficient for the length of the stay (most of the huts have a gas or wood kitchen, to prepare the meals). Mobile phones work, so there should be no problems handling possible emergencies, but Internet is not available. 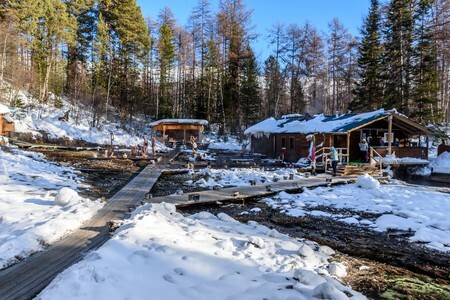 The Khakusy spa is well equipped with heated changing rooms, a sauna and open-air pools where visitors can soak in the warm water surrounded by ice and snow (if coming in winter). 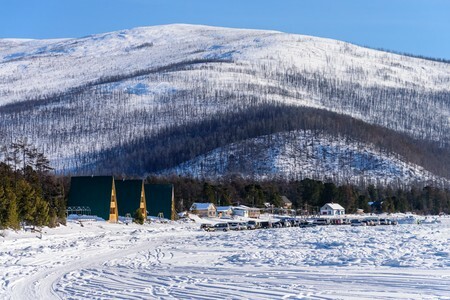 But now let's see some photos of Khakusy. 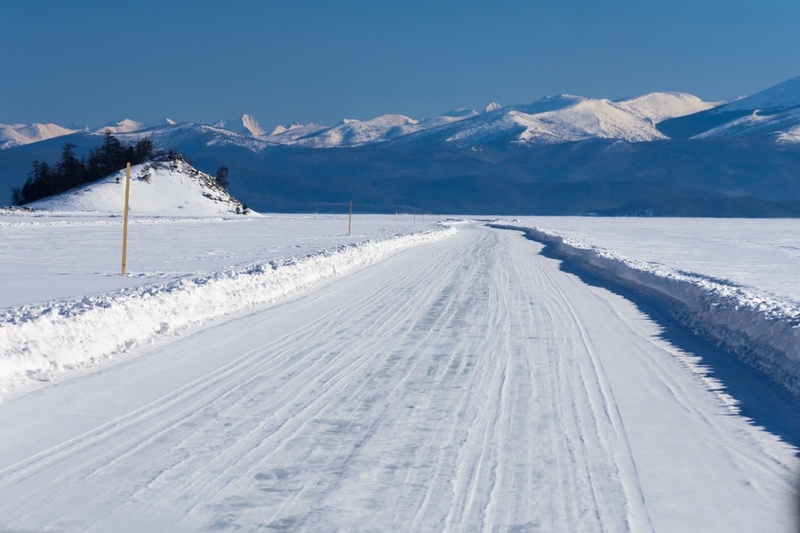 During the second half winter, visitors may get to Khakusy by car / hovercraft from Ust-Barguzin (200 kilometers away) or from Severobaikalsk (50 kilometers away) using the solid ice of Lake Baikal like an immense natural highway. Today we are getting to Khakusy by car from Ust-Barguzin, enjoying very beautiful landscapes along the way. 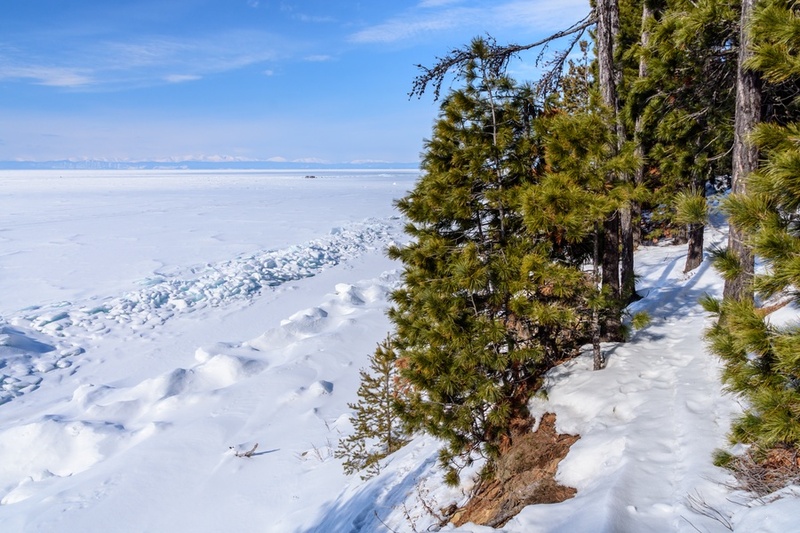 The natural highway on frozen Lake Baikal is clearly visible, as it is continuously traced by the numerous vehicles that travel on it every day, among endless stretches of virgin snow, islands trapped in the ice and beautiful mountain ranges on both sides of the lake. 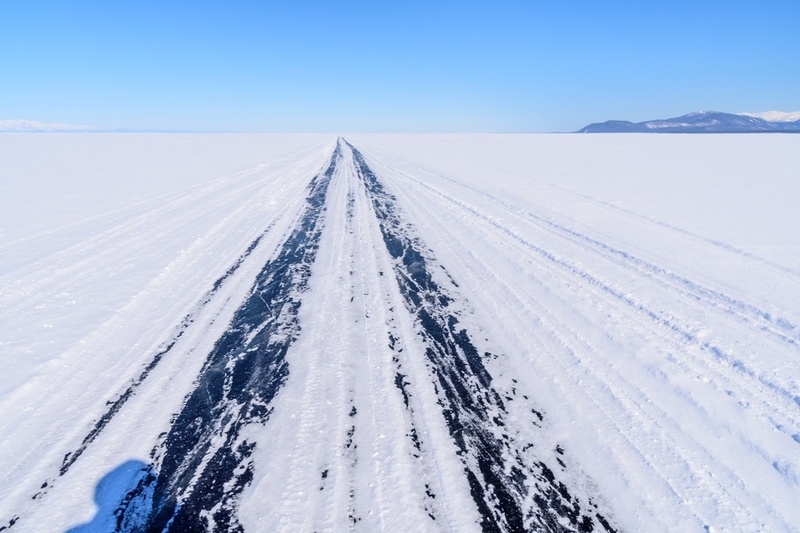 From time to time, it is necessary to cross the pressure ridges in the ice, but this is not a problem for the vehicle we are riding in. Numerous stops allow visitors to stretch the legs and admire the beautiful panorama all around. 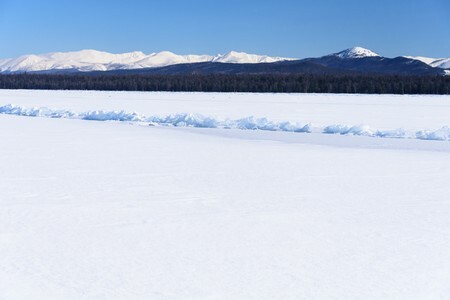 Sometimes the track is bordered by cedar branches fixed in the ice of the lake. Obviously they are not live trees. 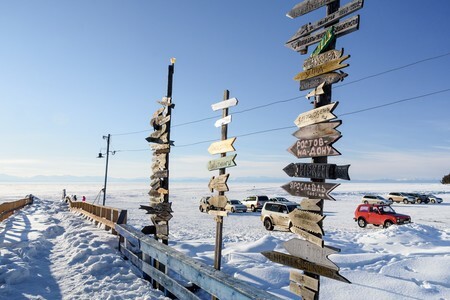 Other times instead, along the edge of the track there are also road signs, once again fixed in the ice. 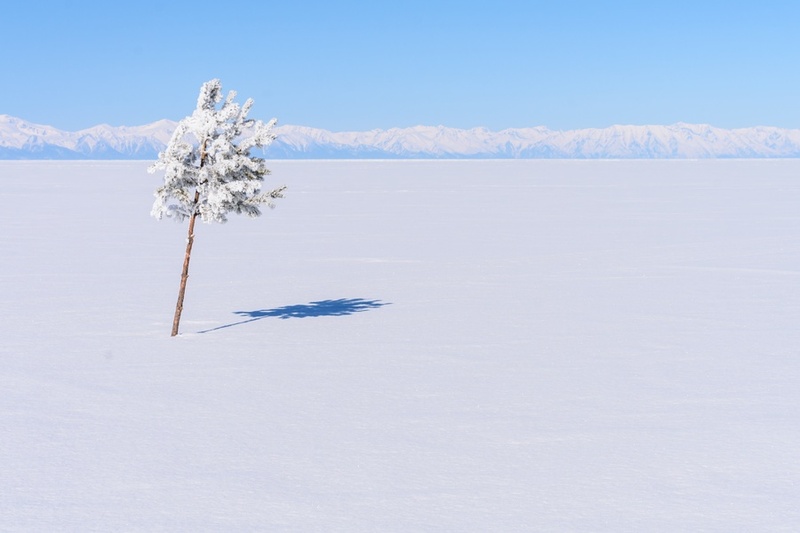 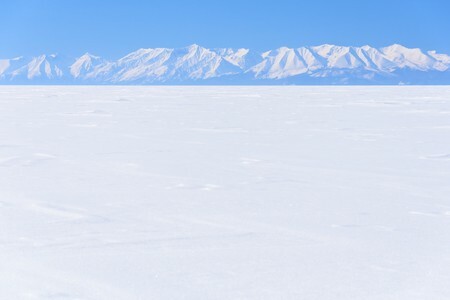 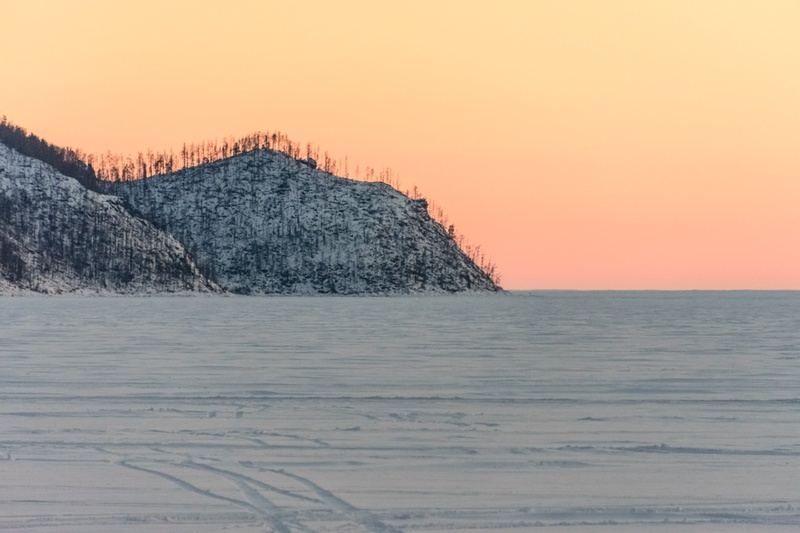 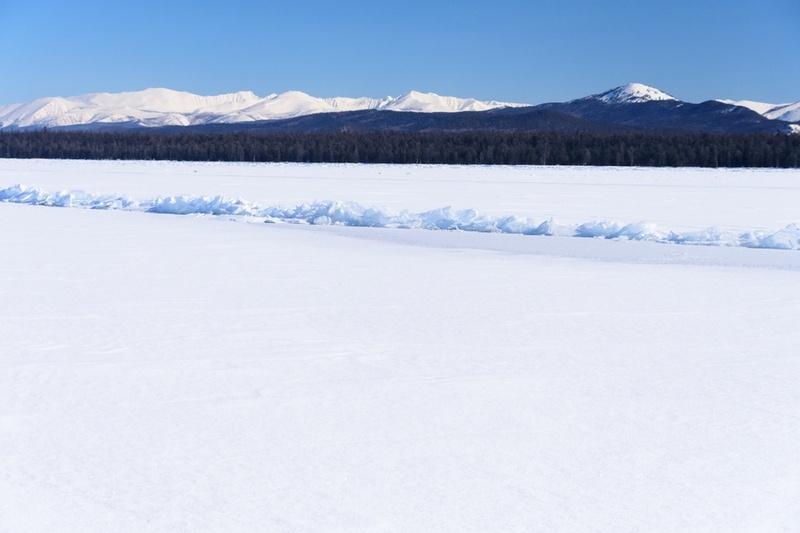 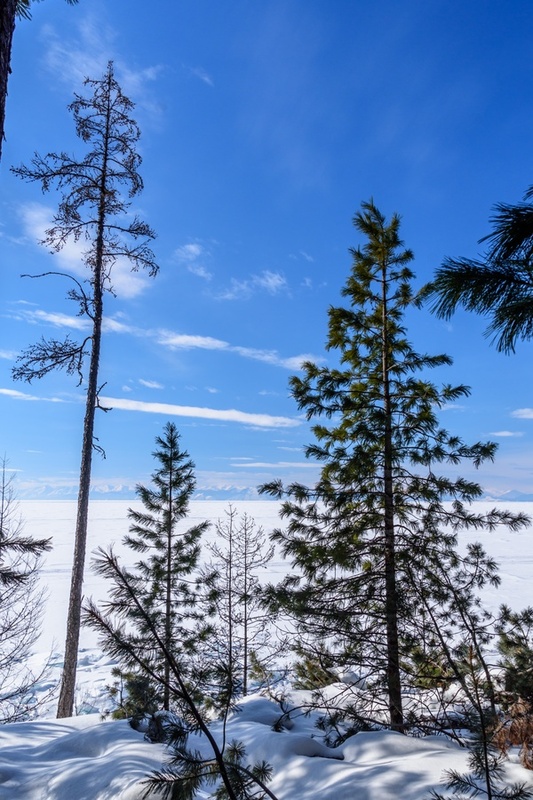 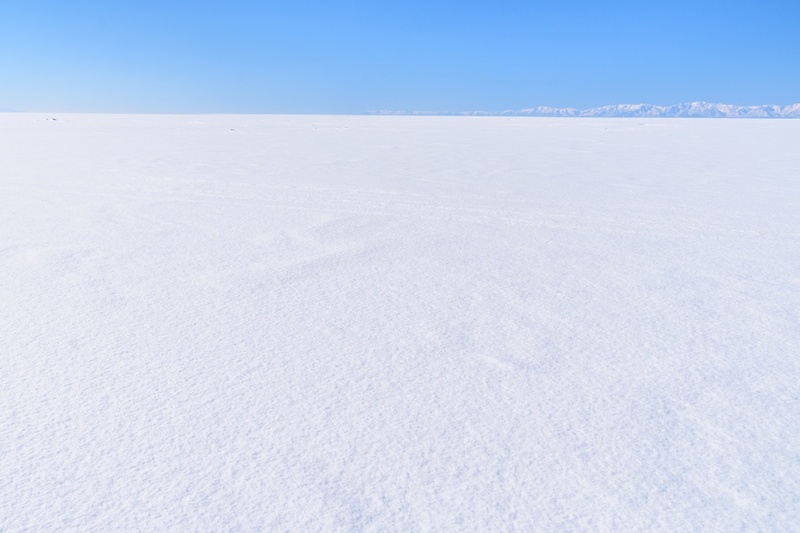 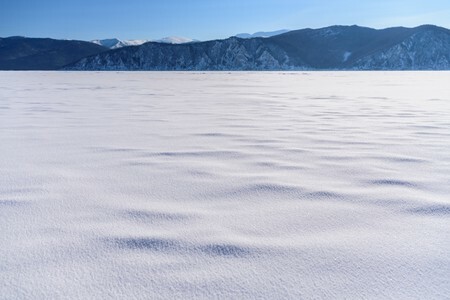 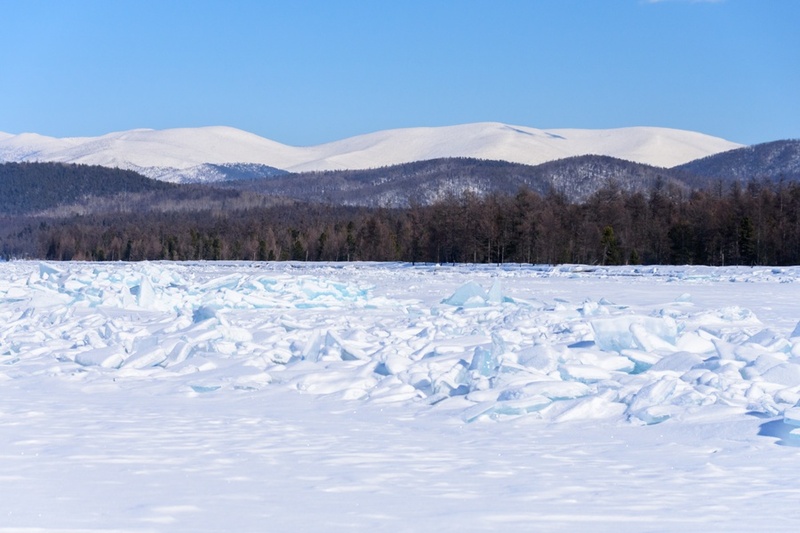 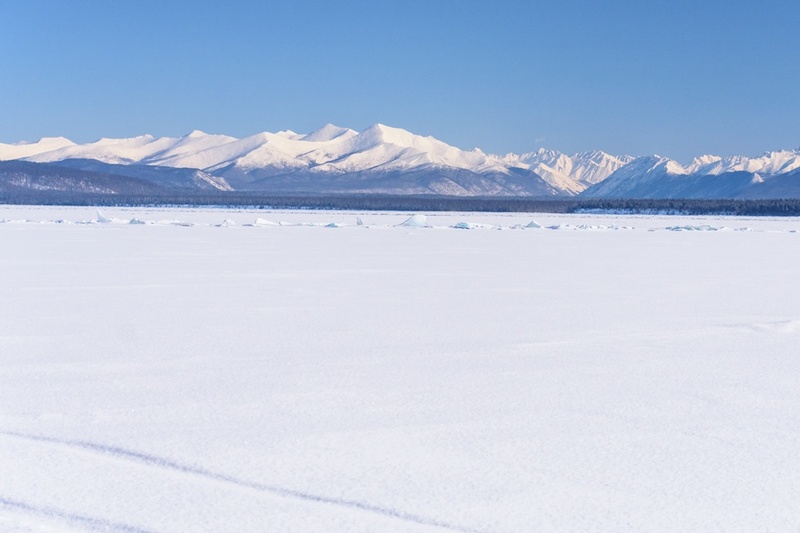 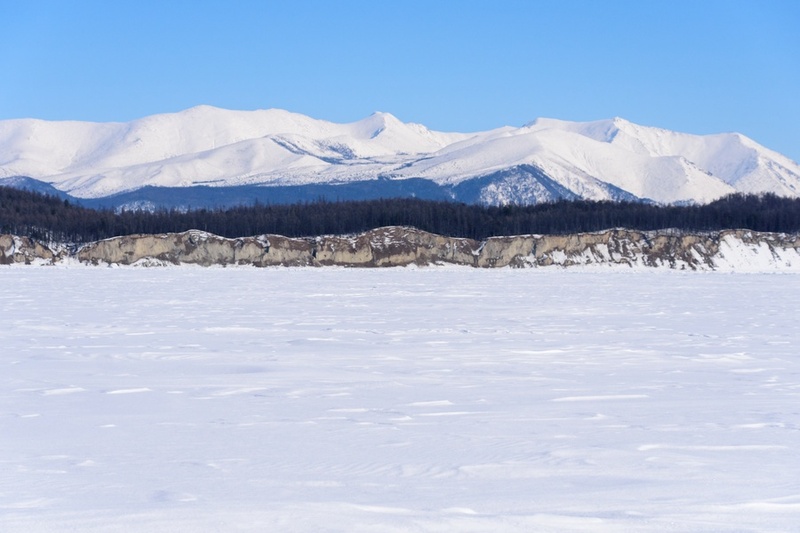 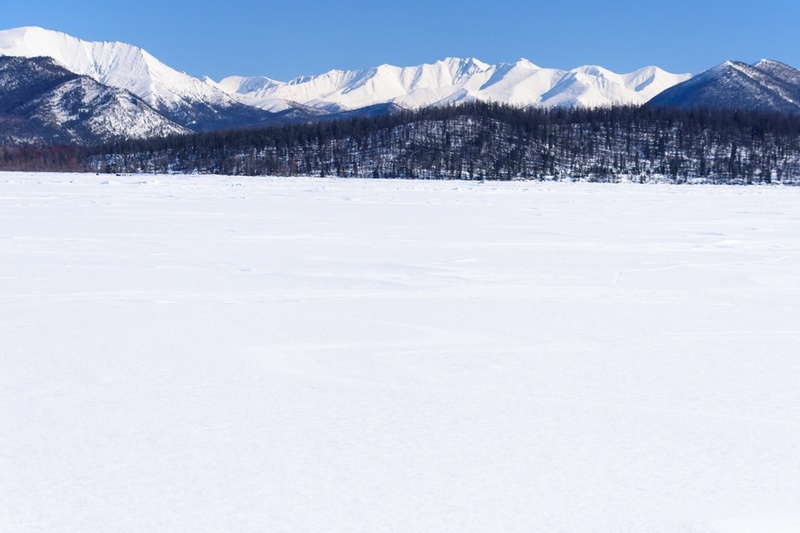 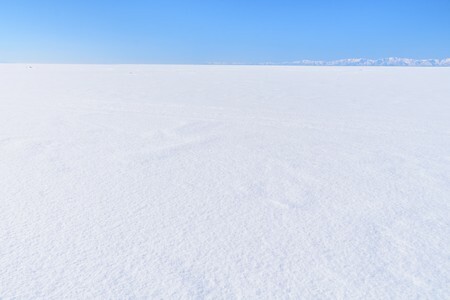 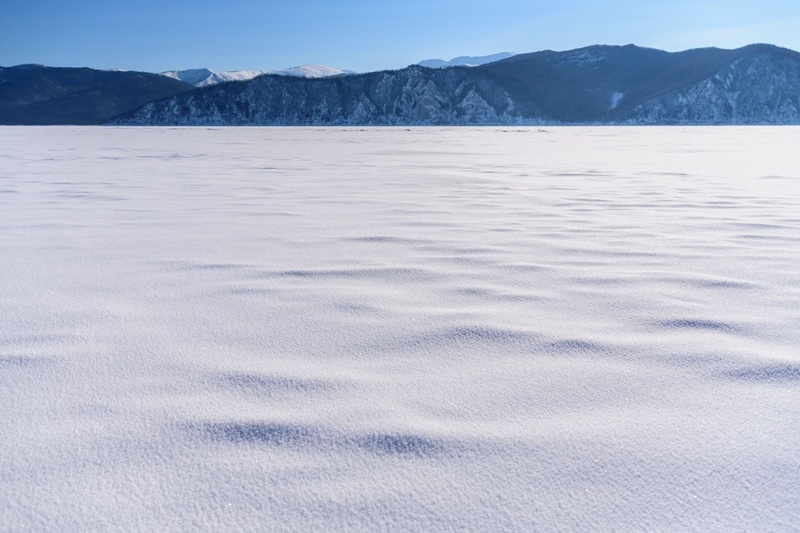 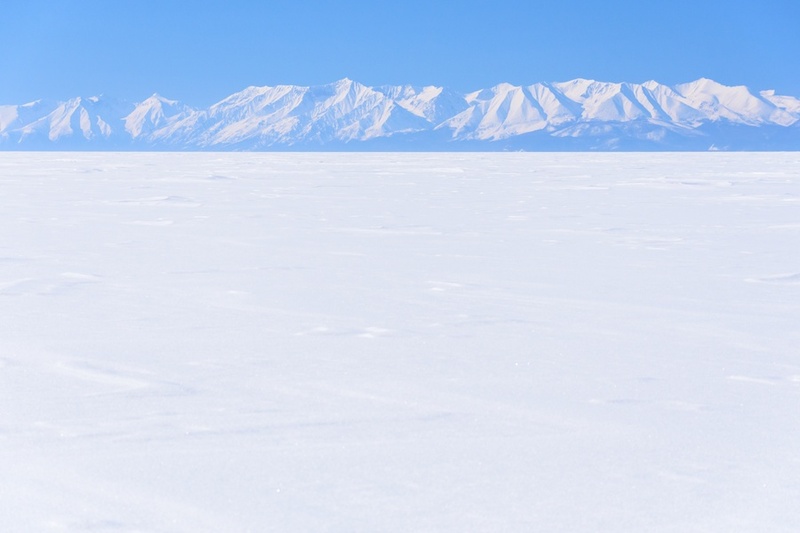 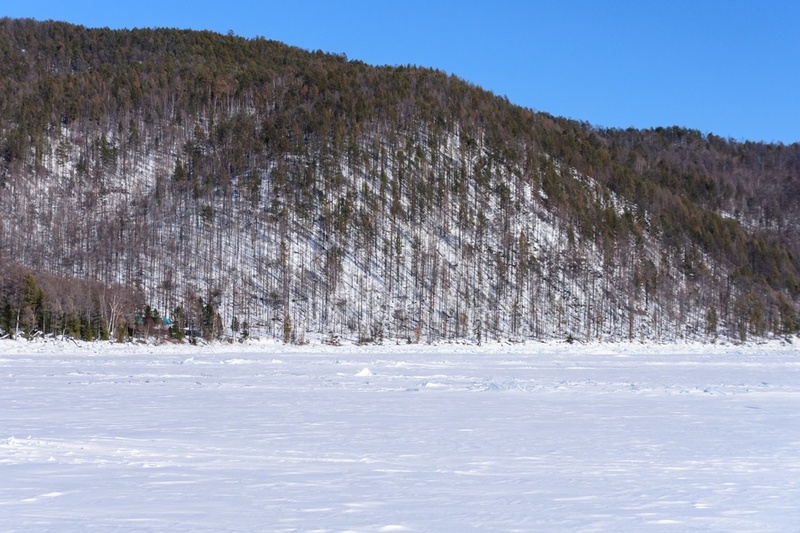 The beautiful panorama that can be seen while crossing Lake Baikal from Ust-Barguzin to Khakusy, among spectacular mountain ranges, immaculate snow, pressure ridges in the ice and unspoilt taiga forest. 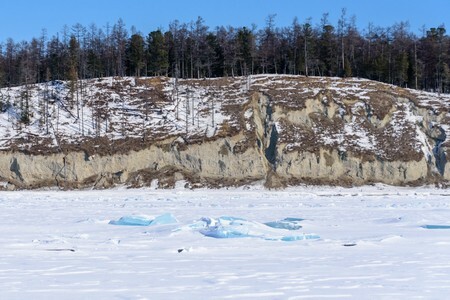 Once close to Khakussy, we can see the first refuges where guests can spend the night. 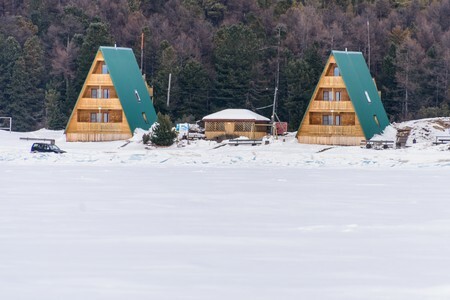 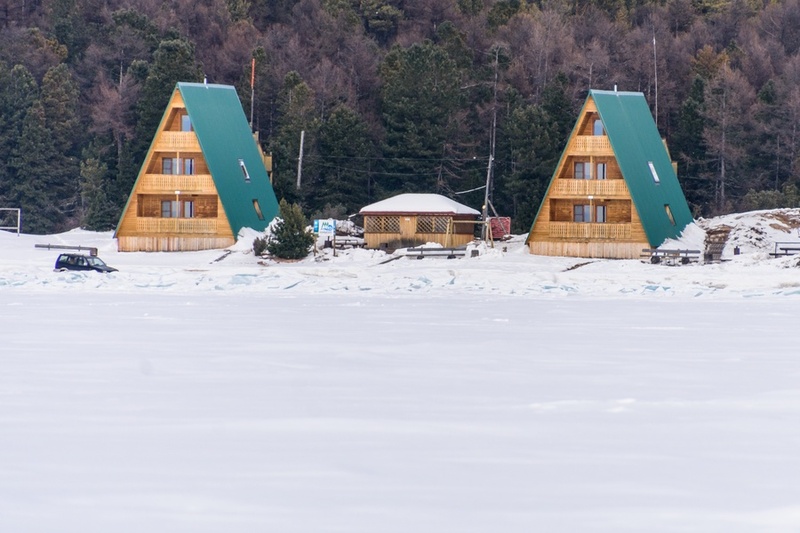 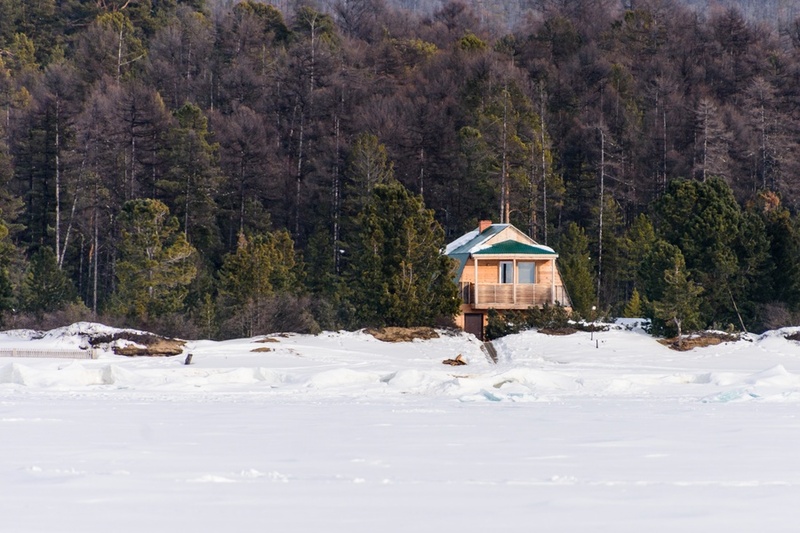 There are no hotels in Khakusy and there is no local permanent population, but guests are accommodated in cabins and huts immersed in a pristine and unspoilt taiga forest. 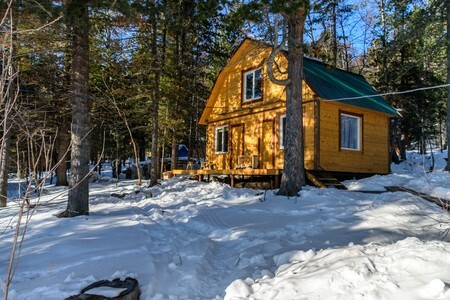 The facilities are heated with a wood stove, but there is no running water and electricity is not available 24 hours a day. 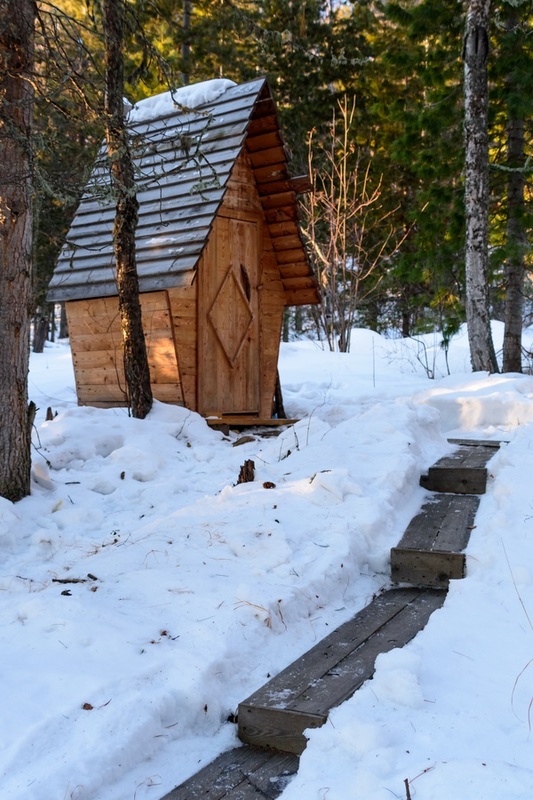 The toilets are outside and... they are not heated. 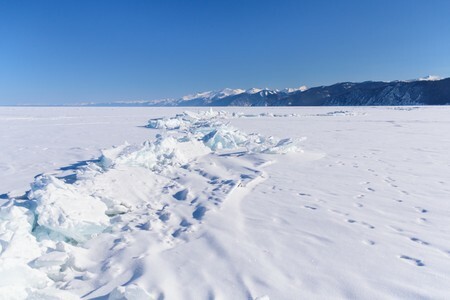 Since there is no running water, people must collect it by making a hole in Lake Baikal. The beautiful panorama around the bay where Khakusy is located, among mountains and taiga forest. 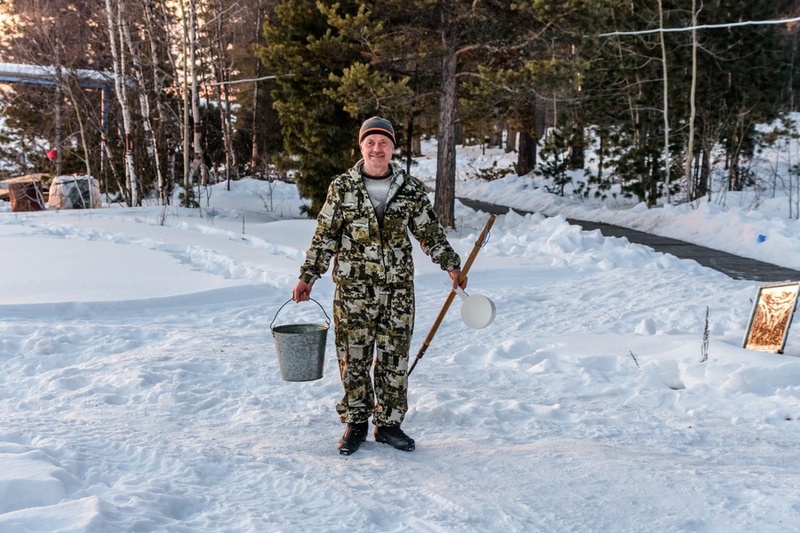 The hot springs in Khakusy are connected to the various huts by paved paths or paths simply traced in the snow. A picnic table totally buried into the snow, which falls here in greater quantity than the drier areas of southwestern Baikal. 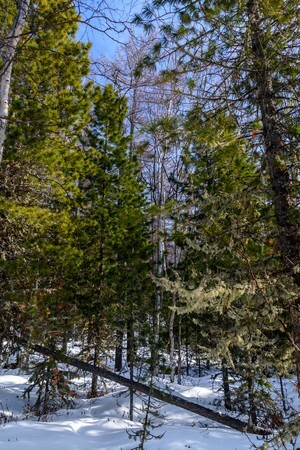 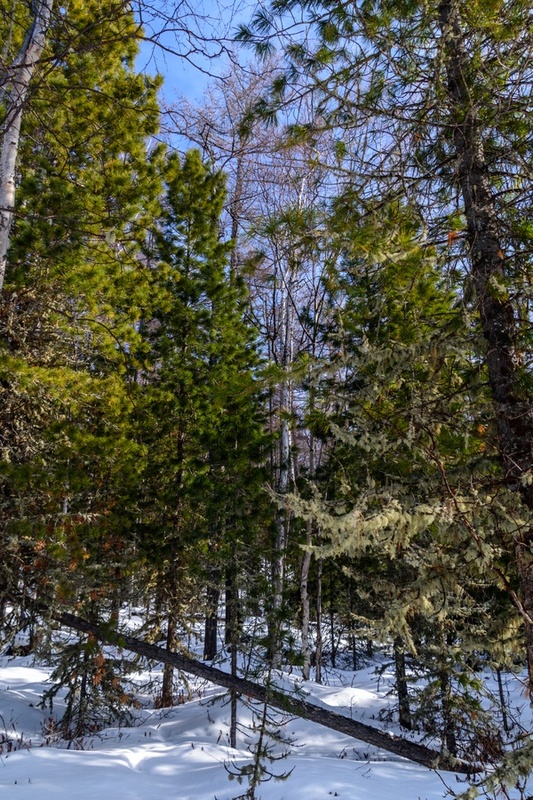 The wonderful taiga forest where Khakusy is located, among cedars, larches and birches. The Khakusy hot springs are well equipped with comfortable facilities. A wooden building houses a heated dressing room with a sauna: as soon as visitors are ready in their swimsuit, they go outside (in winter with a certain number of degrees below zero) before choosing an hot water pool where to bathe. 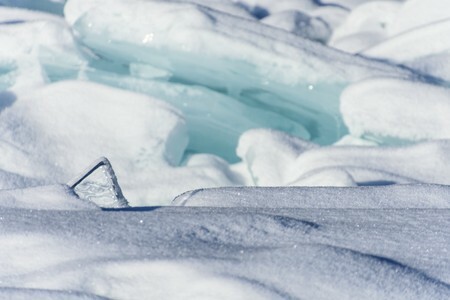 Various pools are available, each with its own water temperature, which varies from 42 to 47 degrees centigrades. 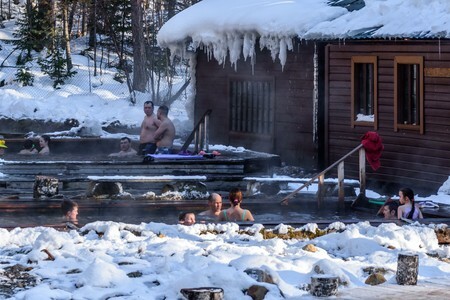 Obviously visitors may start with the coldest pool before moving to the warmest gradually. 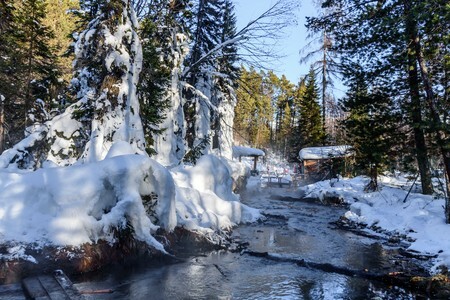 Spending time here is very pleasant and the hot water has lot of properties useful for the skin. 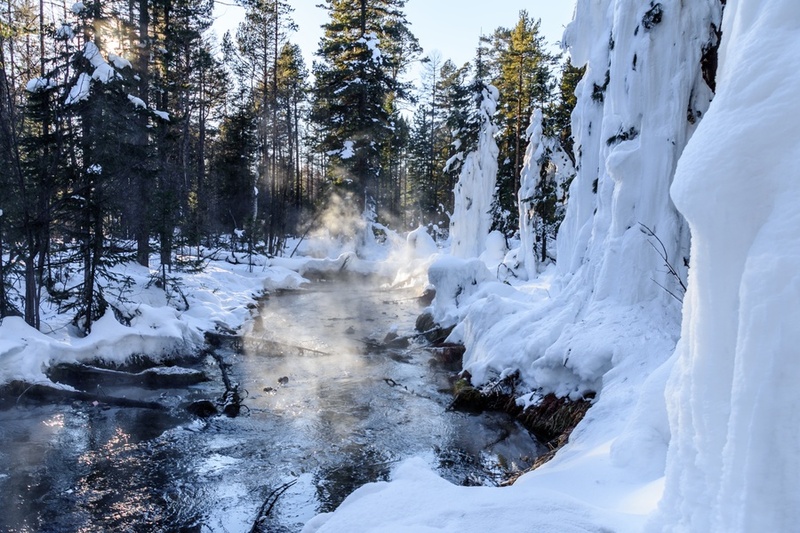 The stream that brings hot water to the spa , then flows downhill. 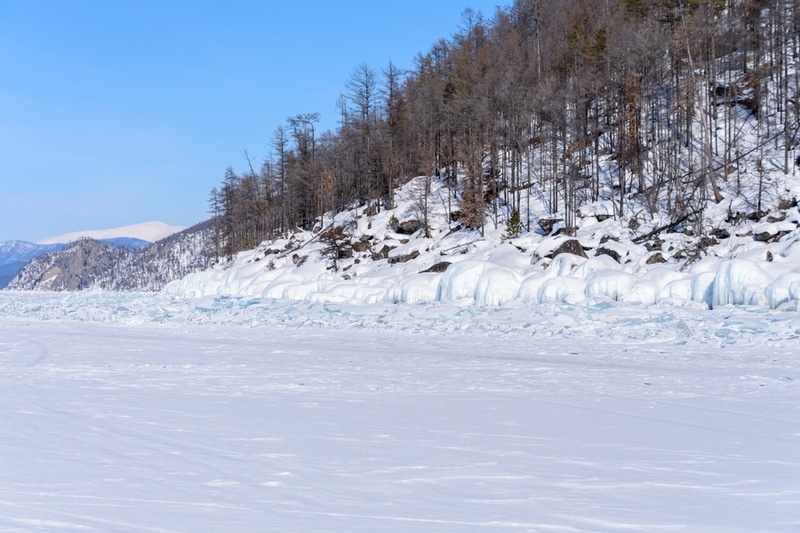 During the journey, the vapors condense and freeze instantly on the trees all around, creating a kind of ice sculptures. The Khakusy pier on Lake Baikal, where at this time of the year, instead of motorboats, there are cars parked just on the ice of the lake. 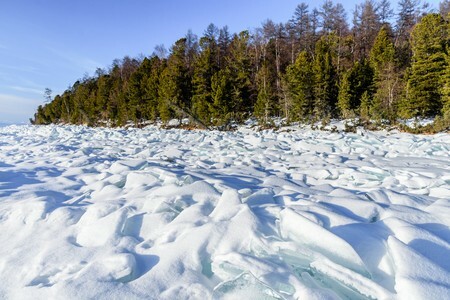 Some ice along the shore. 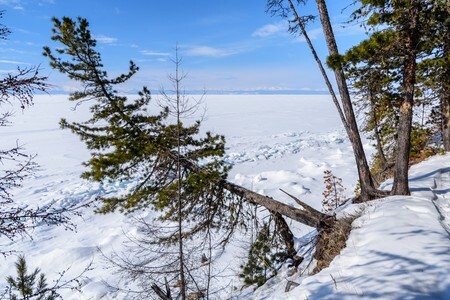 The beautiful landscape dominated by pristine taiga forest, that surrounds Khakusy up to the shores of Lake Baikal. 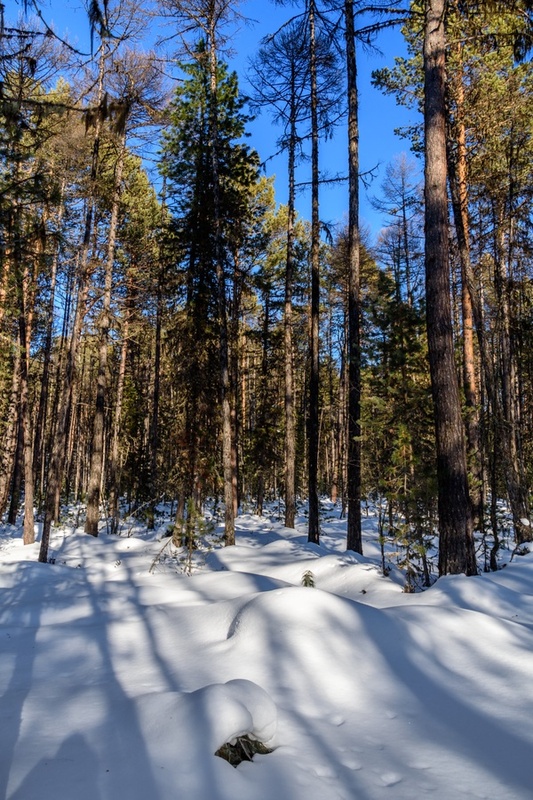 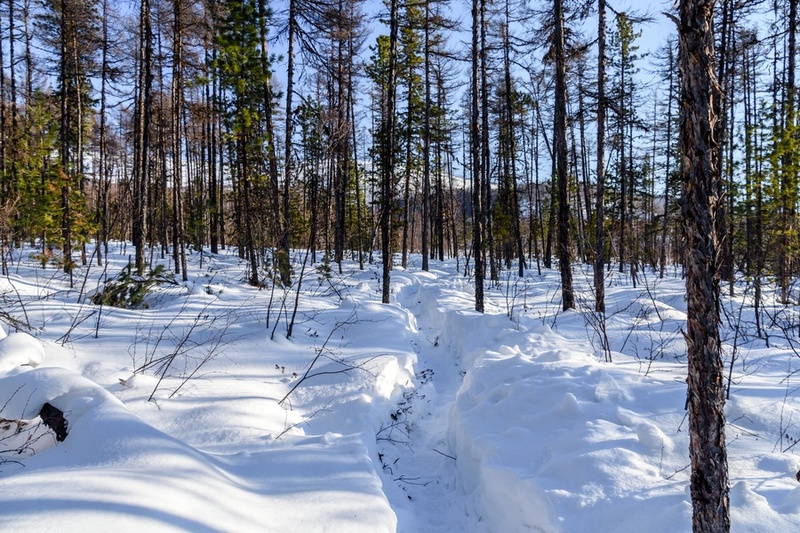 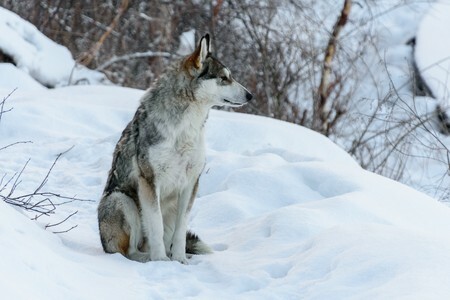 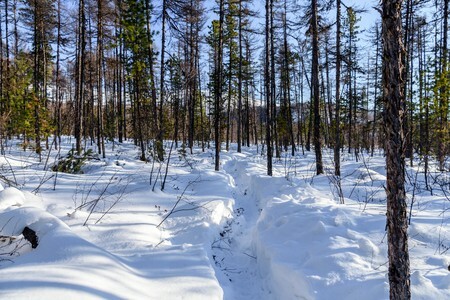 More photos of taiga near Khakusy in Siberia. 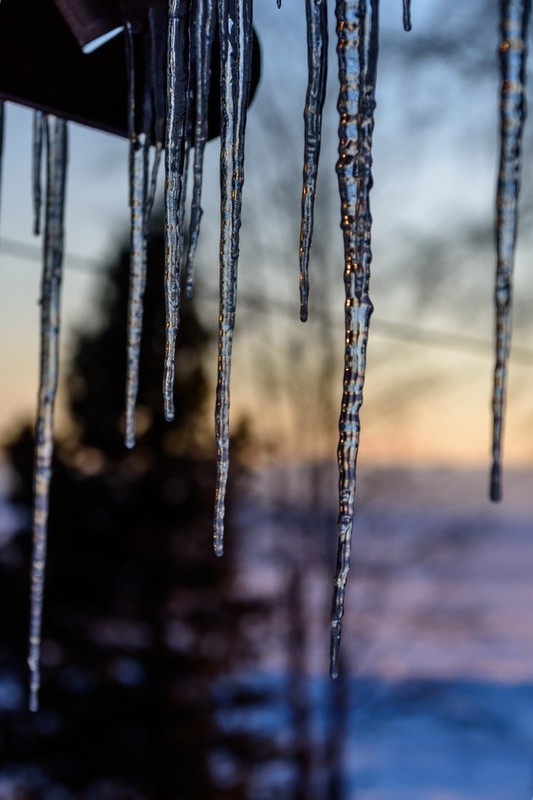 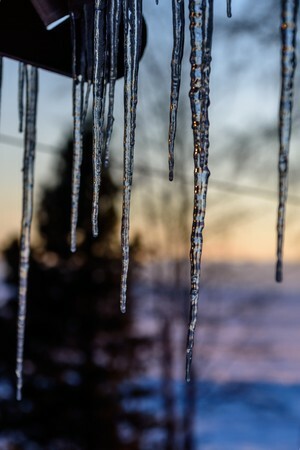 The pastel colors of the sunset over Lake Baikal, with the sun reflecting onto the icicles. 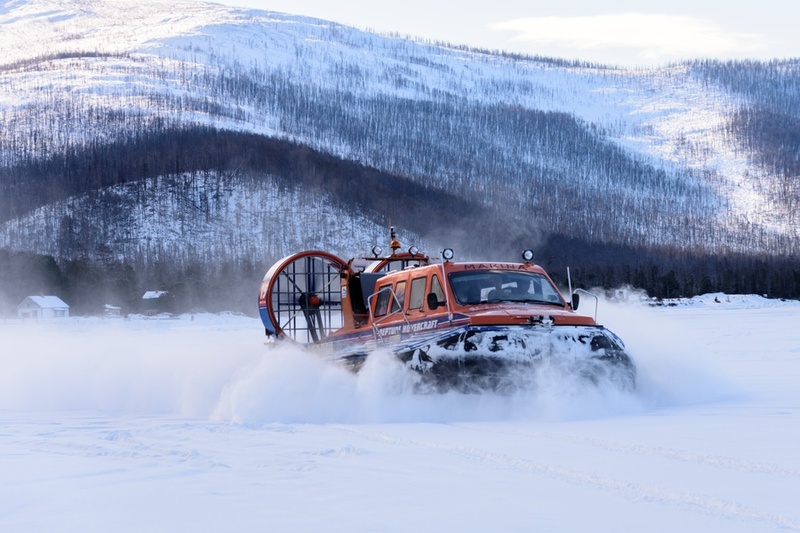 The time to say goodbye to Khakusy has come and we take a hovercraft to cover the 50 kilometers to Severobaikalsk, our next destination.